Hilo-born Crystal “Pikko” Watanabe became passionate about the bento in April 2007, in the midst of a weight loss project. She lost over 22 pounds, and in the mean time kicked off a long-running bentomaking obsession. 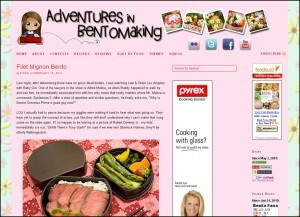 In addition to her blog, she co-authored a book on bentos titled “Yum-Yum Bento Box.” You can follower her on Twitter at @pikko.